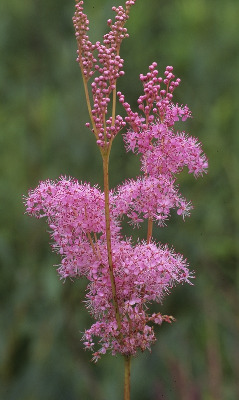 Filipendula rubra (Hill) B. L. Rob. Wet prairies, fens, meadows, and shores, usually calcareous. This species in sometimes cultivated. 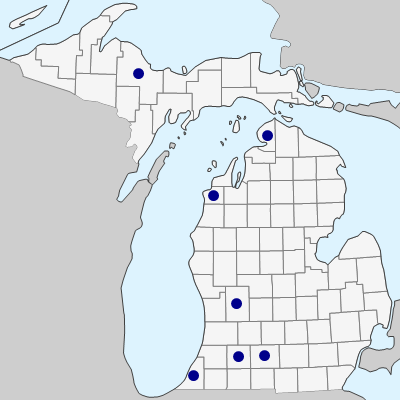 It is native only in southwestern Michigan (Calhoun Cass, and Berrien Counties), but even there some collections may represent escapes rather than natural populations, especially those from fields and disturbed habitats. MICHIGAN FLORA ONLINE. A. A. Reznicek, E. G. Voss, & B. S. Walters. February 2011. University of Michigan. Web. April 21, 2019. https://michiganflora.net/species.aspx?id=2479.